Two years ago, on Thanksgiving Day after the 2016 presidential election, I noted in this editorial space — after one of the most divisive and acrimonious election campaigns in living memory — that the media was speculating about the election’s disruptive repercussions on individuals and family relationships. I suppose the same goes after the recent unpleasant elections. Facing an uncomfortable holiday — relationships damaged by unfriending and hard feelings — we were told to skip Grandma’s, lest we be forced to confront unpleasant differences. I’ve always been somewhat of a contrarian, so my advice is to enjoy the free speech our First Amendment guarantees. Don’t be afraid to say your piece as you gather for the holiday, but do so with the grace and charity too many politicians lack. We live in a time of continuing political strife. Most of us would like to see an end to it. But our current differences are minuscule compared to the divide that existed on the eve of four years of Civil War. Americans killed each other, fighting to preserve the Union. We are not enemies, but friends. We must not be enemies. Though passion may have strained, it must not break our bonds of affection. The mystic chords of memory, stretching from every battlefield and patriot grave to every living heart and hearthstone all over this broad land will yet swell the chorus of the Union, when again touched, as surely they will be, by the better angels of our nature. But 74 years later, in the midst of a bloody civil war on October 3, 1863, Lincoln established our official annual Thanksgiving Day, imploring Americans to ask God “to heal the wounds of the nation.” Every U.S. president has followed his example. Within days of his proclamation, Lincoln issued a call for 300,000 additional volunteers to join the Army. Within two weeks, he delivered the memorable address at Gettysburg, where in July, the Union suffered 23,049 casualties; the Confederacy, 28,063. Before this fratricidal war ended, 750,000 would die. The equivalent of 2% of all Americans is about 6 million today. 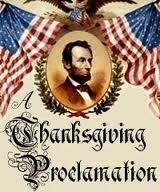 Yet with all this horror and bloodshed, in establishing that first official Thanksgiving Day, Lincoln chose to list the blessings for which Americans could be grateful. Even in the midst of a civil war of unequaled magnitude and severity, he spoke about “the whole American people,” not about a divided North and South. Ask yourself: Are the questions that divide us today even comparable in significance to those that gave rise to that horrible war? At issue was the very Union itself, but also the freedom of 4 million human beings living in slavery. Today we have the democratic means to solve our issues peacefully. 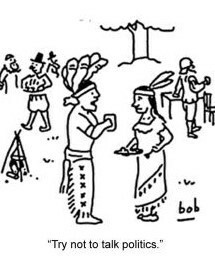 And as our politicians are so fond of telling us, our debates can best be solved starting around the kitchen table, where they are best understood by those affected. So why not debate them around the dinner table this year? A return to reason in public discourse should start with each of us, one by one, discussing and seeking resolve. 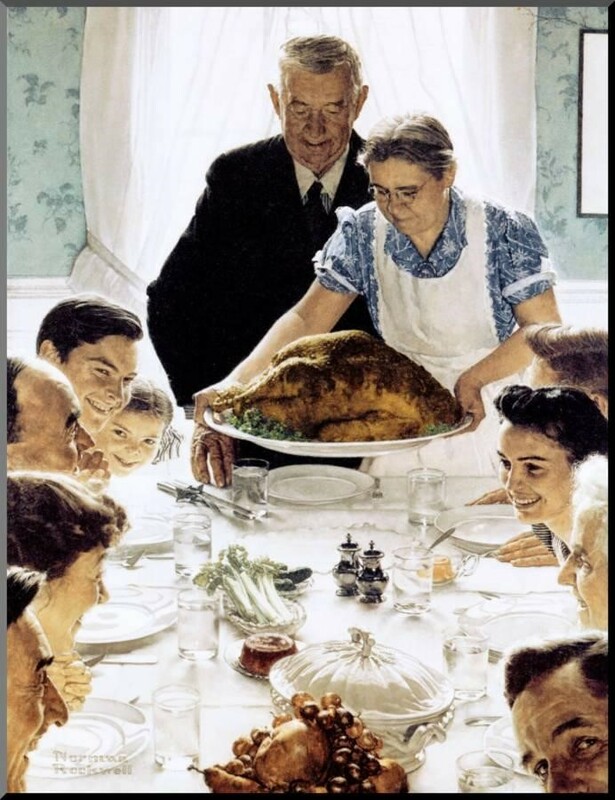 Thanksgiving always has been a day to pause and consider our blessings as Americans, to consider what unites us, not to dwell on what divides us. Among the many things for which to give thanks are family and friends. When all else fails, we look to them for help and support. This annual family holiday underscores these ties and their vital importance. Our four children, our grandchildren and our great grandchildren and their families live in California, Utah, Florida, Georgia, Michigan and Illinois. I will be sharing the presence of family, for me an essential part of this holiday and of life. Our national day of Thanksgiving reminds us that there is always hope that life can be better in the United States of America, even in times of political turmoil. This Thanksgiving Day, let us pray, give thanks and be grateful for our liberty. Especially for those protecting us abroad, for those who have fought and died to preserve it, and for our own family and friends. It is our wish that you and your loved ones experience an enjoyable Thanksgiving. And in the coming days, may God bless you — and America. Next »Will Black Friday Eventually Come to an End?